The NOAA aerial survey imagery shot in the wake of Hurricane Isaac really is helpful for assessing storm impacts. Here’s another example, showing the flooded Stolthaven chemical facility along the Mississippi River near Braithwaite, Louisiana. Someone – we think it must be the company, based on the wording – filed a pollution incident report with the National Response Center on September 11. 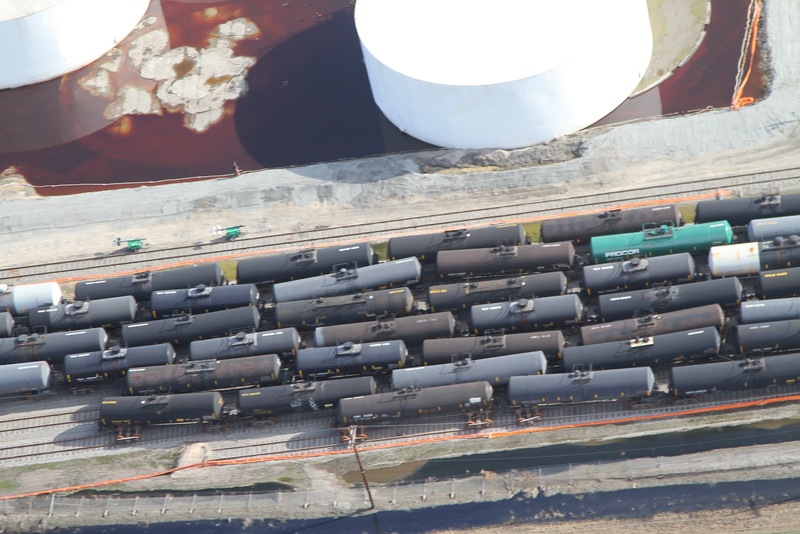 This report popped up in our handy SkyTruth Alerts system; it claims nearly 200,000 gallons of chemicals were released, mostly ethylene glycol but including several other nasty things like styrene, xylene and cancer-causing benzene. Nearby residents have been evacuated, and some have filed suit against the company. 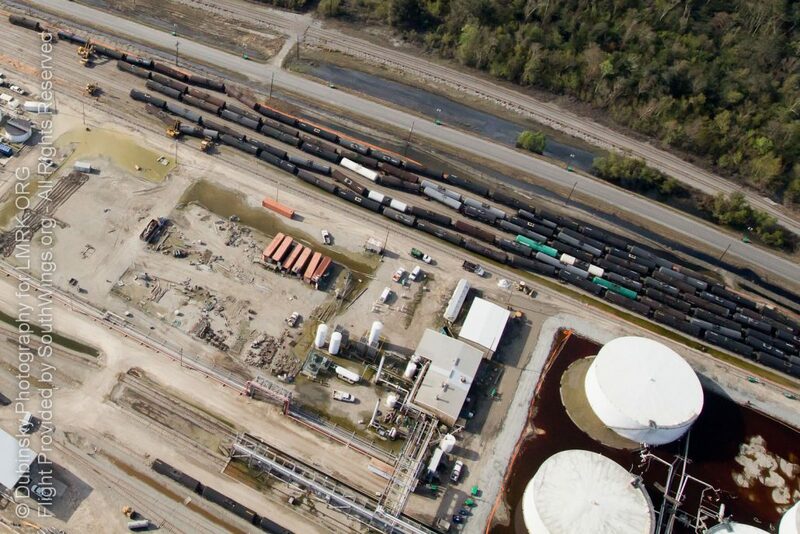 NOAA aerial survey photography showing flooded Stolthaven chemical facility near Braithwaite, LA on August 31. Slicks and sheen apparently migrating downstream from the Stolthaven facility (lower right) toward flooded homes (upper left). Air photo of Stolthaven chemical facility taken during Gulf Monitoring Consortium overflight on September 10, 2012, courtesy of Jeffrey Dubinsky. See more of Jeffrey’s pics from this flight here. Another view of the dislodged tank, courtesy of Jonathan Henderson of the Gulf Restoration Network (see more of his pics from the September 10 overflight). Isaac was certainly a big storm, but clocked in as a relatively mild Category 1 hurricane. You would think that by now, major industrial facilities planted in the middle of Hurricane Alley would be better able to withstand such predictable storm exposure. But I guess you’d be wrong…. Post-Isaac Aerial Survey Photography Now Available From NOAA Water, Water, Everywhere: 20 Months of Frackwater in the U.S.